Optimise demand management, comply with food safety regulations, and increase supply chain agility - with Consumer Products ERP Solutions. Today’s consumer products businesses face a host of new challenges. Changing consumer demands are influencing innovative product design and price optimisation like never before. Add to this the increasingly stringent food safety regulations and compliance requirements, and you have a challenging business environment to manage. To overcome these challenges, consumer products companies need to bring all of their Product Lifecycle Management (PLM) processes together in one place – with sophisticated Consumer Products ERP software that meets their specific needs. itelligence’s people are practical, they have their feet on the ground, they appreciate the size and culture of our company and they look after their customers. We have also been dealing with the same people for a number of years now, which is useful as they know our business and systems and we don’t have to keep reinventing the wheel. In today’s customer-driven market, effective demand management is absolutely essential. Consumer products companies require quick and easy access to relevant information to support profitability analysis and price optimisation as they try to satisfy changing consumer tastes. The movement toward fresh, quality and sustainably produced goods means you need visibility into the sourcing of each and every product and the ability to manage short life cycles driven by new products and flavours. Good planning is critical to success, but quick, efficient re-planning is just as important. With an increasing number of goods being transported daily, planning must be agile enough to respond to unpredictable events – such as delivery delays caused by traffic jams. To accelerate decision making, access to accurate real-time information via the IoT and investment in Consumer Products ERP solutions are vital. In an era defined by globalisation and digitisation, businesses require a comprehensive food safety program. This should ensure the highest possible quality across all processes and timely compliance with global regulations. To close the gap between incidents and corrective actions, organisations in the food sector need a powerful in-memory platform, while innovative IoT capabilities can keep them ahead of competition. 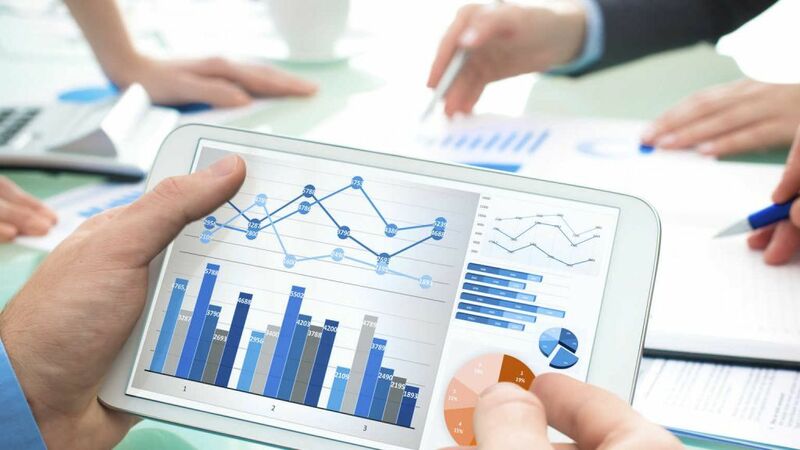 Financial Management – Provide detailed analytics and visibility into financial performance through dashboards, key performance indicators, pre-configured reports and a powerful end-user reporting tools. With finance integrated with your consumer products ERP applications, organisations are able to comply with industry regulations with added visibility into quality standards and traceability. Here you get to know what to do. Our expert, Don Mackenzie, gives useful advice about how to create consumer-driven buying experiences and how to maximise supply chain performance. Are You Facing Similar Challenges in the Consumer Products Industry? Is it increasingly difficult for you to cope with changing consumer demands and economic volatility? Are you struggling with shrinking operating margins due to growing global competition and fluctuating raw material prices? Are you suffering from compliance issues due to a dynamic global regulatory environment and the necessity to mitigate operational risk and manage non-conformance? Are you familiar with all the compliance issues and food safety risks? Are data granularity and transparency increasingly significant to your company? If you are currently facing one or more of these challenges, we can help you rethink your processes and introduce a modern consumer products ERP solution. Manage all inventory formats, including customer-owned, customer-pegged (promised), made-to-order (private label), quarantined, pre-approved by quality, etc. Manage all traceability issues, lot track & trace, quality recall management, etc. Food safety regulations are particularly stringent in the meat industry, and compliance is vital for avoiding costly penalties – or, even worse, closure of the company. Moreover, legal requirements are changing fast and it is not easy to keep track of them all. We will support you with our proven expertise and SAP Consumer Products ERP solutions that are tailored to your unique requirements. The growth of the healthy snacking culture combined with online and mobile shopping are changing the way dairy food is being bought and consumed. Adapt to these trends through better use of technology and data to target customers with tailored offers. At the same time, ensure that supply and demand are in line through better inventory management. With our extensive knowledge of dairy industry processes and our SAP Consumer Products ERP solution, we can help you overcome these new challenges. The egg sector, as a bulk business, is characterised by massive price pressure. Therefore, it is particularly important that all business processes, such as flock management, harvesting, grading, and sorting are optimally streamlined and run as cost-efficiently as possible. Over the past few years, sales figures in the bakery and confectionery industry have stagnated due to customers’ changing nutrition habits. As a basic requirement, you have to ensure that all processes, such as recipe management and quality control, run smoothly. Our experts support you with SAP Consumer Products ERP solutions so that you can concentrate on your core business. Digital transformation is changing consumer buying habits. Organisations are introducing big data and advanced analytics solutions to engage customers in the consumer durables industry. They are also tackling cloud adoption, data security, and intelligent Consumer Products ERP to stay competitive in the growing global market. We understand the subtle differences among the consumer products industry’s specialties. As such, we have developed a multitude of industry-specific products to provide our customers with tailored SAP solutions - whether on-premise, cloud, or hybrid. Don Mackenzie, Consumer Products Industry Principal, itelligence Inc.
As a trusted long-standing partner of SAP, itelligence is part of the development process for Consumer Products ERP solutions. Combined with nearly 30 years’ experience in SAP implementations across multiple industry segments, this gives us unparalleled knowledge of the consumer products ERP industry. It also puts us at the forefront of innovation in the sector, meaning that as we grow, you grow. What’s more, thanks to our global presence, you can benefit from our best-in-class B2B and B2C solutions and round-the-clock consulting, wherever you are. Improve demand planning precision, enable a responsive supply chain, and create innovative product introductions. Meet your customers’ growing requirements while staying at the cutting edge, with our industry solution it.consumer. SAP S/4HANA – How Does It Transform the Consumer Products Industry? Simplify your consumer products processes with real-time supply chains and digitalised sales – two of SAP S/4HANA’s key industry capabilities. The intelligent ERP system that supports business transformation and delivers modern, intelligent capabilities that will deliver instant value. Gain the confidence to grow and change at any speed, with a real-time view of your business and the ability to act instantly, and wisely, on that insight. The SAP SuccessFactors human capital management (HCM) suite presents a proactive, integrated approach to your entire talent management lifecycle. SuccessFactors offers a full modular suite of talent solutions in the cloud to help you attract, engage, select and hire the right talent. Unlock the real value in data and gain insight into operations. Discover, visualise, plan, predict, collaborate, and drive fact-based decision making throughout your professional services organisation. SAP Business Planning & Consolidation (SAP BPC) is an application that forms part of the SAP Enterprise Performance Management suite of software. It is an application dedicated to the enterprise wide requirements surrounding budgeting, planning, forecasting, consolidation and reporting through the use of a single unified platform allowing for reduced administration and support requirements in areas such as model creation and security. SAP Ariba Snap gives you control over spending by eliminating paperwork, endless emails and tedious PDFs, and automating each step of the buying process. Delivering decades of best practices, it provides an easy-to-deploy, easy-to-administer, and easy-to-adopt system that’s preconfigured with the spend categories that matter to your industry. Are you searching for answers or would like to receive more information on our consumer products expertise?